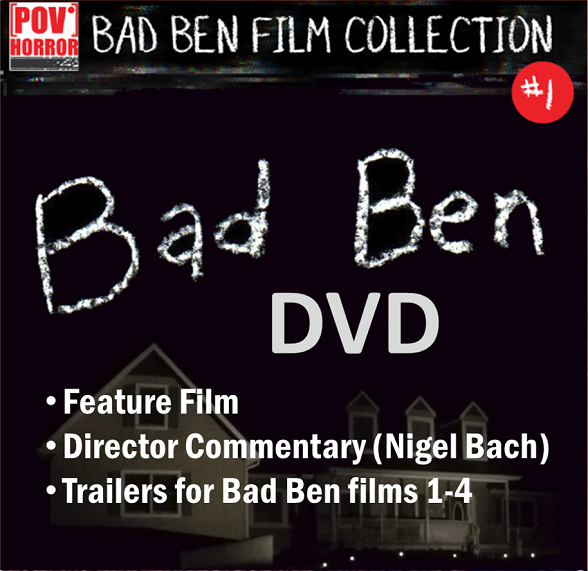 “Bad Ben” is a found footage film written by, directed by, and starring Nigel Bach. The movie follows Tom Riley, an aspiring real estate investor who has spent all of his money on a house at a Sheriff’s sale. 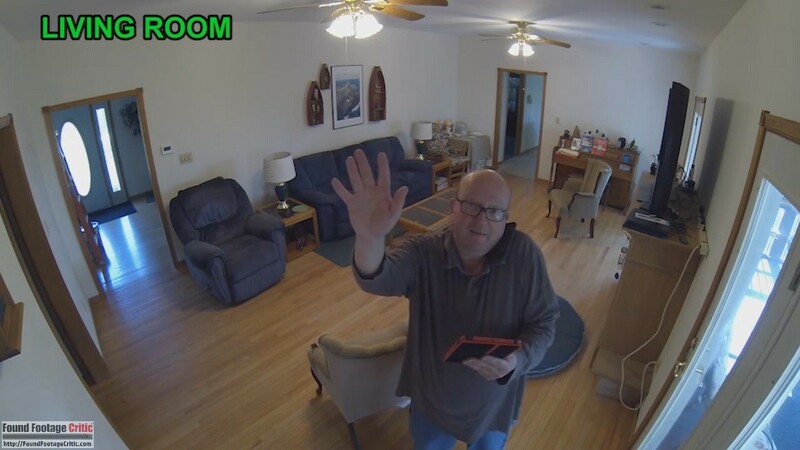 Upon arriving at the house, Tom discovers that its previous owners have left many of their belongings behind, including a house-wide surveillance camera system. Tom uses his cell phone to document the salable items in the house, as well as record his efforts to prepare the house itself for sale. Tom’s work is plagued by a series of incidents in which furniture in the house is mysteriously moved around. 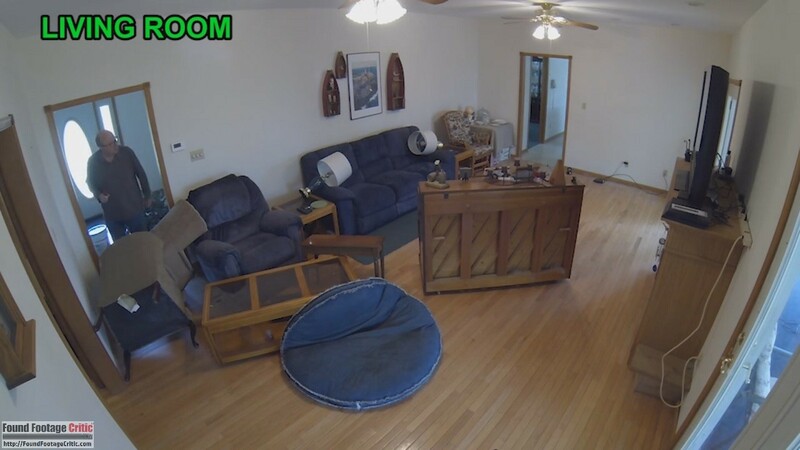 Suspecting a vandal, Tom activates the surveillance system and replaces all of the house locks. When the incidents continue, Tom’s suspicions turn to the paranormal. Tom’s investigations over the course of the film reveal more of the house’s sordid past. As it becomes apparent that the house is being haunted, Tom’s primary concern is how that will impact his ability to turn a profit. After a brief introductory caption, Bad Ben quickly establishes its tongue-in-cheek nature by cutting to a scene shot from Tom’s cell phone in portrait mode. This reviewer’s horror of the prospect of having to watch an entire feature-length film shot in this fashion is quickly alleviated when Tom figures out how to switch to landscape instead. 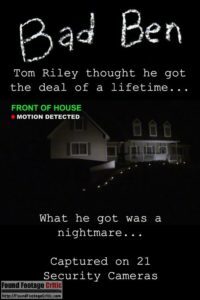 The film is shot through a combination of Tom’s cell phone and fixed surveillance cameras located both in and outside of his new house. 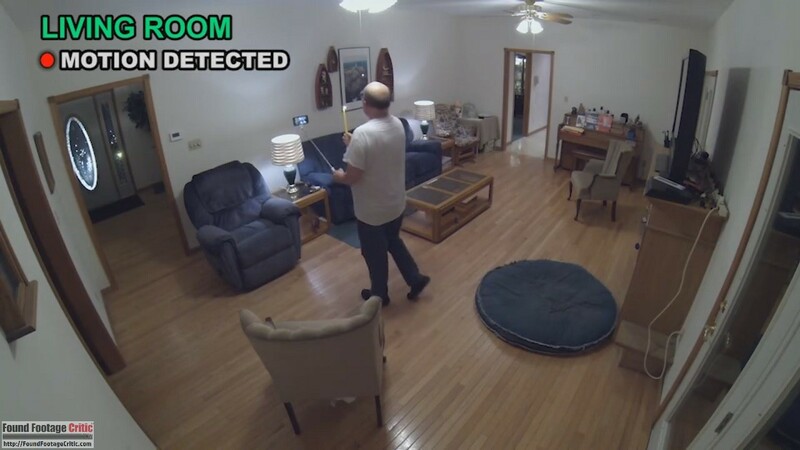 The surveillance cameras are triggered by motion sensors, and all of the cameras (including, inexplicably, Tom’s cell phone) are equipped with a kind of night-vision that kicks in whenever the lights are off. 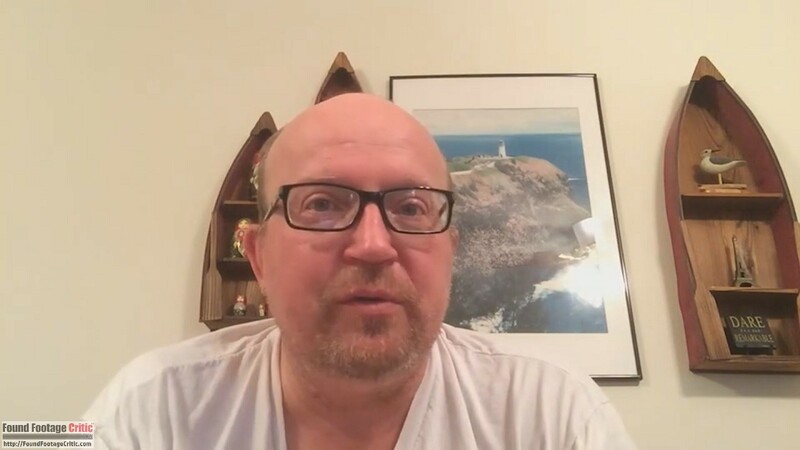 The scenes shot from Tom’s cell phone are primarily shot facing outward, providing a first-person perspective of what Tom is seeing as he narrates. The film includes a handful of “selfie” scenes, a couple for which Tom uses an actual selfie stick (usually to comedic effect). 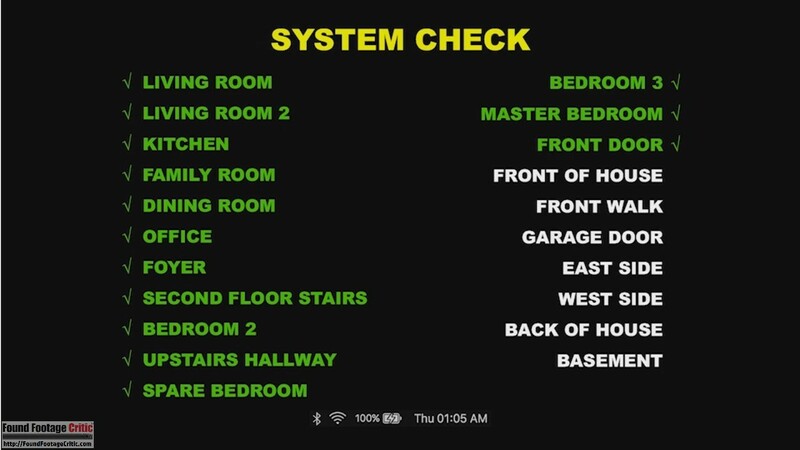 The scenes shot from the surveillance system are distinguished by a caption in the upper left corner labeling the room being recorded, as well as various status indicators. While the captions on the surveillance footage are useful to quickly establish context, they can also be distracting. The “motion detected” indicator, in particular, seems inconsistent and draws unnecessary attention, making scenes that rapidly switch between cameras difficult to follow. Bad Ben also includes one scene in which Tom watches and reacts to footage that had been recorded earlier. During this scene, real-time footage and audio are intermingled with old footage being played back. With no easy way to distinguish between the two, the scene could be slightly confusing to viewers. Other than the minor detractors mentioned above, the cinematography in Bad Ben is very well executed. The surveillance cameras are placed at believable locations and angles, and the context switches between surveillance and cellphone footage are natural and appropriate. It is because the cinematography feels so natural for the majority of the movie that the few minor issues the film does have seem to stand out. Bad Ben employs two filming reasons. Tom activates the surveillance system because strange things are happening in his house and he wants to record them, which makes perfect sense. Why the original occupants of the home had the surveillance cameras installed in the first place is left to the viewer’s imagination. The reason for the cellphone footage and Tom’s ongoing narration is less obvious and remains so for essentially the entire film. At one point Tom even mentions that he is unsure why he feels compelled to document every moment of his life. 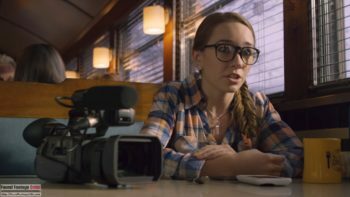 In a typical found footage movie, an obvious lack of filming reason would be a glaring omission, but Bad Ben is afforded some leeway due to its comedic nature. In this instance, the movie is clearly taking a jab at more serious found footage films that suffer from the same flaw. Despite not taking itself too seriously, the purity of the footage in Bad Ben is consistently good. The film takes very few liberties with the found footage format and comes across as quite authentic. Bad Ben is presented as raw footage, only edited to the extent of splicing scenes together to form the narrative. The format is broken a couple of times, however, such as in the previously mentioned scene where Tom is reacting to past footage. The film breaks form again toward the end during a scene in which Tom is narrating and filming from his car—the narration audio continues even after the video switches to surveillance footage of Tom arriving home. While this technique may make the scene more powerful emotionally, it feels slightly out of place in an otherwise largely unedited found footage film. Bad Ben’s authentic cinematography and found footage purity lend an atmosphere that, at times, rivals even that of genre behemoths like Paranormal Activity (2007). That being said, the film suffers from a few immersion-breaking problems that mar what could otherwise have been an impressively realistic movie. Bad Ben makes only minimal use of special effects, but when it does it is very obvious. It is difficult to discuss specifics without spoiling some major plot points, but suffice it to say that the film may have been better off attempting the effects with a more practical approach, or leaving them out altogether. Another glaring problem with the film is its abundant use of very unrealistic night-vision effects. In essence, it appears as though the “night-vision” is achieved by applying a green filter (or a green-filtered light in the case of the cell phone) when the house lights are turned off. While it is understandable that this technique may be easier to execute than genuine night-vision filming, the execution of the night vision is not as realistic as in other similar-minded films. Judging from the green tint during scenes filmed with a cell phone in the dark, it appears as though the cell phone is equipped with night vision—what cell phones have night vision capability? As mentioned earlier, the film otherwise comes off as quite authentic. And, being a comedy, the cheesiness of the effects is likely to add to the film’s charm for some viewers. Your mileage may vary. This is what would happen if you dropped Dr. House into a found footage horror movie. Bad Ben walks a fine line between traditional horror and spoof. 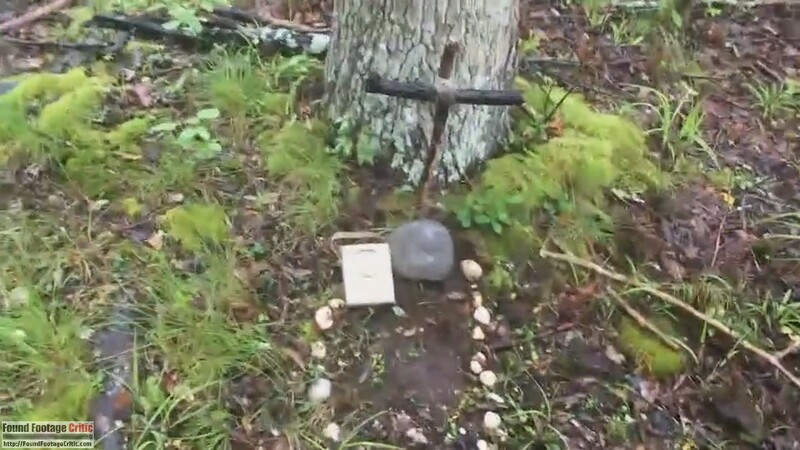 Much of the comedic value is derived from a layer of absurdity on top of what could very easily have been the plot and setting for a serious found footage horror movie. This could be a good or bad thing depending on your expectations when watching the film. On one hand, the film forgoes many opportunities to spoof typical found footage tropes. There is a lot of humor in Tom’s character and his reactions to the things going on around him, but Bad Ben is by no means a send-up of the found footage format. This film is more like what would happen if you dropped Dr. House from Fox’s House M.D. into a found footage horror movie. On the other hand, because it follows a traditional format, the film is peppered with genuinely tense and creepy moments despite being a comedy. The story itself is quite engaging, gradually revealing hints around the house’s backstory as the film progresses. Bad Ben should effectively court fans of both sarcastic humor and genuinely frightening horror films. Tom Riley, played by the film’s writer and director Nigel Bach, is the only character to appear in Bad Ben. The existence of one other character—Zack from the surveillance company—is implied through Tom’s phone conversations, but we never hear or see Zack at any point. The movie is carried entirely by Nigel Bach’s performance. And it is an impressive performance. Tom’s deadpan reactions to situations and events that would send normal horror movie characters screaming in terror are great. The narration and dialog is consistently entertaining, often introducing humor through Tom’s dry, sarcastic cynicism. Nigel’s acting is a little cheesy at times, but in an endearing way that feels perfectly appropriate to the humorous nature of the character. Ultimately, Bad Ben is a difficult film to categorize. 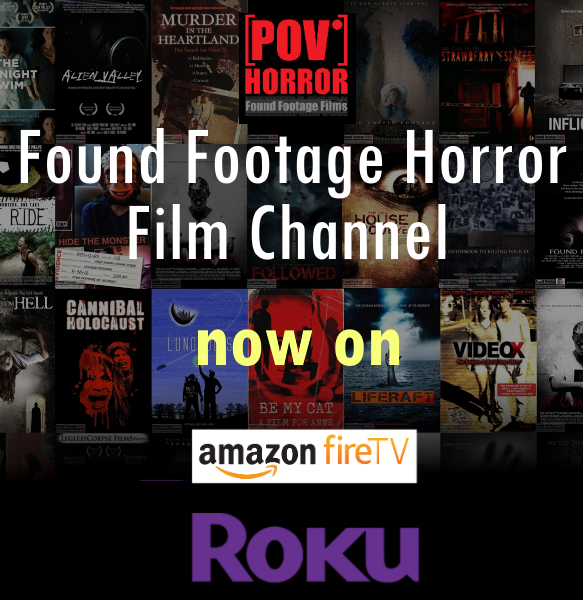 While the movie has elements of both a comedic spoof and a serious found footage horror film, it can’t be placed firmly into the camp of either. The film is both funny and scary, so if you’re in the mood for either or both of those, you should give Bad Ben a chance. BAD BEN is a mashup of found footage horror and comedy that will leave you laughing, screaming, or both.